Essential to branding, our Pantone® Business Cards are the perfect tool to maintain your company's identity. A smooth uncoated finish makes this paper perfect for booklet covers, as well as brochures or postcards that need to be written on. It is best for light coverage artwork, as bright colours and images tend to look muted. This Forest Stewardship Council ® (FSC) paper is produced via responsible forestry, so is excellent for those who are environmentally conscious. The stiffer, heavier weight is best suited to items that do not require folding such as postcards and door hangers, as well as any items that are required to be written on. Forest Stewardship Council ® (FSC) certification means this paper is produced via responsible forestry, and the smooth surface is great for colour reproduction. As well, the uncoated finish is perfect for writing with a wide array of pens and pencils. The texture on this paper is more pronounced than the other available options, and should not be used with artwork that has heavy solids. This stock is a light cream colour and is perfect for business cards and greeting cards. This stock is a bright white colour and is perfect for business cards and greeting cards. With a pronounced texture, this stock is not ideal for artwork that has heavy solids. This elegant cream-coloured stock is perfect for business cards, note cards, or other business stationary. The smooth finish is ideal for writing, so signatures or personal notes won't get smudged. The heavier weight of this paper gives any item printed on it an air of sophistication. A smooth surface and bright white colour make this an excellent choice for professional stationary such as business cards, greeting cards, or other such items. It is also ideal for writing with all types of pens, as well as pencil if required. This uncoated cover is a lighter shade of kraft with a slightly rough texture. Kraft paper is a unique choice for business cards, hang tags, and packaging. 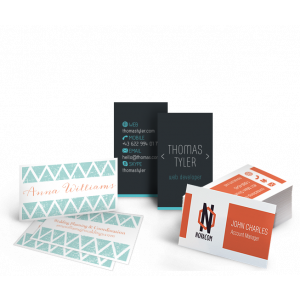 Business Cards are arguably one of the most essential pieces of a company's brand identity. With Pantone® printed Business Cards, you can make sure that the first impression made is consistent with your company's branding. 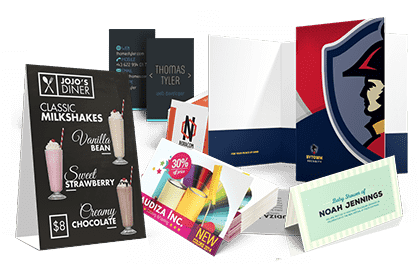 The range of premium cardstocks, from uncoated smooth to laid and lineal, you will be able to find an option to enhance your marketing. For business cards with Full Colour printing or special effects, please check out our Full Colour Business Cards. 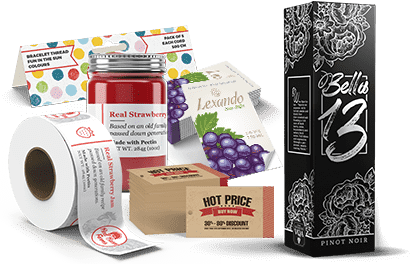 For 1 & 2 colour printing, the most common order selection is 110 lb. cover stock in the 3.5” X 2” size. These business cards are then printed in one or two colours, with the option of Pantone colour, on only the front side (1/0 or 2/0). This type of business card may not be ideal for all orders. For full colour printing or additional stock choices, you should look at our 4-colour business card options. For an order quantity of 1,000 or less, you may want digital 4-colour cards, or offset printing if ordering a quantity of 1,000 or more. You can order digital magnets or digital plastic if you want magnetic and plastic business cards. Business cards are a tradition. They have become a time-honoured way for people to exchange contact information and give the people an instant visual impression. Because of the small size, you can keep these cards with you all the time, which means you will not miss an opportunity to make a valuable new contact because you left your cards at home. To make your card more beneficial, you can use it as a tool to transform new contacts into new customers. To do this, you may want to put a coupon or a special offer on the back of your card. 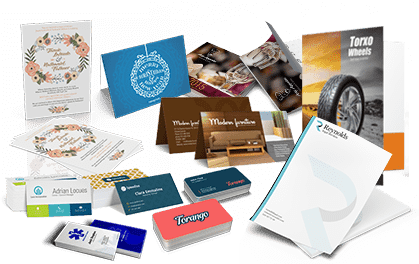 While business cards are often handed out in face-to-face interactions, there are many more uses for these.Tucking cards into sales kits and presentation packets is a good idea, and business cards are often put out in public places as a marketing effort. 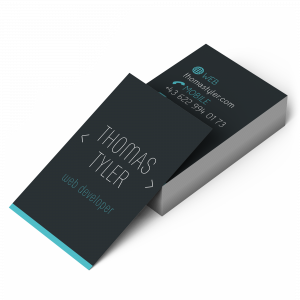 Regardless of advances in technology, business cards continue to be vital in our digital age. People still need to exchange contact information quickly and easily, and cards facilitate this. Some recipients may enter the information from the card into their smartphone, tablet, or computer manually or by scanning the card and using an app to gather information from it. Including a QR code on your card can provide recipients with even more information about you and your business, brand, or product.